There's plenty of cheap, bad Chardonnay in the world, but F&W's Ray Isle finds more than a dozen delicious values, in both bottles and boxes. 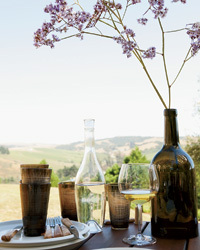 Chardonnay is among the most debated grape varieties around; everyone, it seems, has an opinion about what it should be. Rich and fruity? Oaky and buttery? Steely and crisp? But look at all those styles together, and it's America's most popular wine—we drank over 53 million cases of it in 2010. Recently, in a blind taste test of more than 100 under-$15 bottles, these were the 10 winners. 2009 Bogle ($9) Bogle's juicy, easy-drinking '09 vintage gets its pineapple and mango accents from the warm weather in Clarksburg, California, where the winery's vineyards are located. 2009 Sebastiani Sonoma County ($10) Roughly half of this wine is fermented in oak barrels, which helps account for its caramel-scented aroma and rich texture. A touch of Roussanne adds a spicy note. 2008 Louis Latour Ardèche Chardonnay ($11) This lime-accented, lively Chardonnay comes from the Ardèche region, in southeastern France. Four Vines, Bodini and DMZ Chardonnays. © Antonis Achilleos. 2010 Bodini ($13) A portion of the sales of this clean, citrusy Argentine Chardonnay goes to a scholarship foundation for winery workers' families. 2009 Boomtown ($13) Boomtown, a less-pricey label of Walla Walla's Dusted Valley vintners, makes impressive Washington state wines. 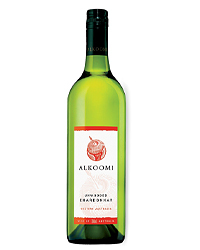 This pear-scented white is among its best bottlings. 2009 Four Vines Naked ($13) No oak (hence, "naked") gets in the way of this wine's bright, pineappley flavors. 2009 Concha y Toro Casillero del Diablo Reserva ($14) Cool breezes off the Pacific Ocean in Chile's Casablanca Valley help give this appley white its refreshingly brisk character. 2010 De Morgenzon DMZ Chardonnay ($15) De Morgenzon makes one of South Africa's greatest Chenin Blancs, and some stellar bargains under its DMZ label. 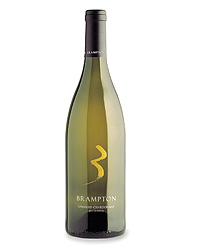 This oaky, lively Chardonnay is a top pick. 2009 Foxglove ($12) The '07 vintage of this apricot-inflected, graceful white from California's Central Coast won our 2009 F&W American Wine Award for Best Chardonnay Under $20. The delicious '09 is a worthy follow-up. 2009 Patianna ($17) This peach-inflected Chardonnay from California's Anderson Valley was above my $15 cutoff, but too good to exclude. Plus, the winery farms all of its vineyards organically, with resident chickens taking care of any pests among the vine rows. Donald Hess's immense modern art collection includes works from Anselm Kiefer and Andy Goldsworthy, among many others. 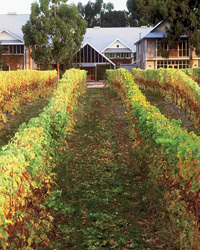 At his Glen Carlou winery in Paarl, South Africa, a museum—with pieces from the collection on permanent display—also serves as a wine-tasting venue. Each three-liter box of wine holds the equivalent of four regular bottles. Here are several to count on. 2009 Bota Box ($19) This lightly oaked, appley Chardonnay from California comes in boxes made from recycled cardboard printed with eco- friendly soy inks. NV Pepperwood Grove The Big Green Box ($20) People who like big, dense California Chardonnays will love this one for its caramel-vanilla notes and superrich texture. 2010 Crucero ($25) A surprisingly good Chardonnay from Chile, it's bright, zesty and full of creamy pear and citrus notes. 2009 Wineberry Château du Chatelard Bourgogne Blanc ($49) It's unusual to find good white Burgundy in a box (much less a cool wooden box). This sleek white justifies its higher price.